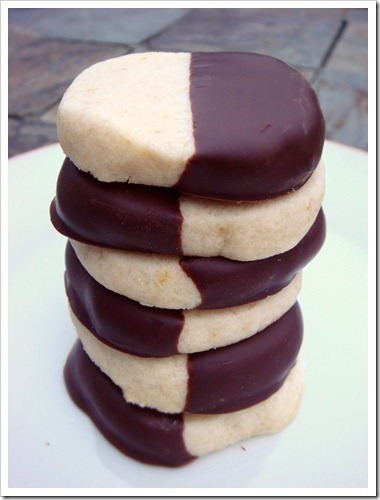 These are one of my very favorite cookies. 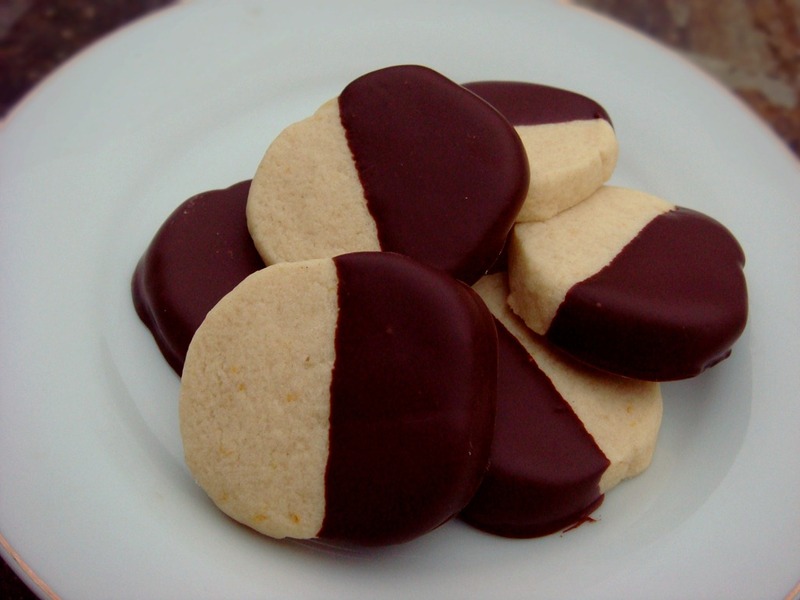 Orange flavored not-too-sweet shortbread cookies dipped in dark chocolate. The dough is shaped into a log, refrigerated until firm and then sliced into rounds to bake. And dipping only half the cookie keeps the fingers much cleaner than trying to dip the whole cookie! Chocolate and orange is one of my favorite flavor combos! Hi Kelly, These look amazing. 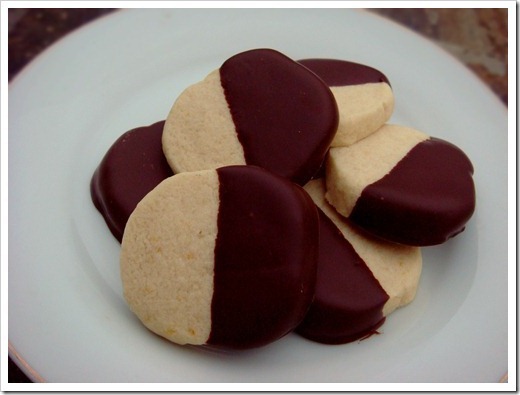 I love the chocolate-orange combo, always such a hit and perfect for Christmas too. If you don’t mind, I’d love if you’d link these up (and any other dessert creations) on Sugar & Slice Sunday link party. Each week Sunday-Thursday. I was wondering, about how many cookies this makes? This makes about 3 dozen cookies, depending on how thick you slice them. Made these yesterday. Fantastic!!! Thanks so much for the delicious recipe! I’m a little (okay, a lot) late to the party, but I made these for Christmas this year, and they are definitely going to be one of my regulars from here on out! They reminded me a lot of the orange Milano cookies from Pepperidge Farms. Easy to make, and delicious in a slightly sophisticated sort of way. I shaped my dough logs into triangles just to have a variety of shapes on my cookie tray, since several of my other cookies were round. Glad you liked them. They are definitely a favorite around here, especially with the grown-ups. This year, I did them in squares for the same reason. I used an empty foil box lined with Saran-Wrap to get them shaped right.